From fake storefronts to far-out sculpture gardens, America brings a whole new meaning to the phrase "artistic expression." 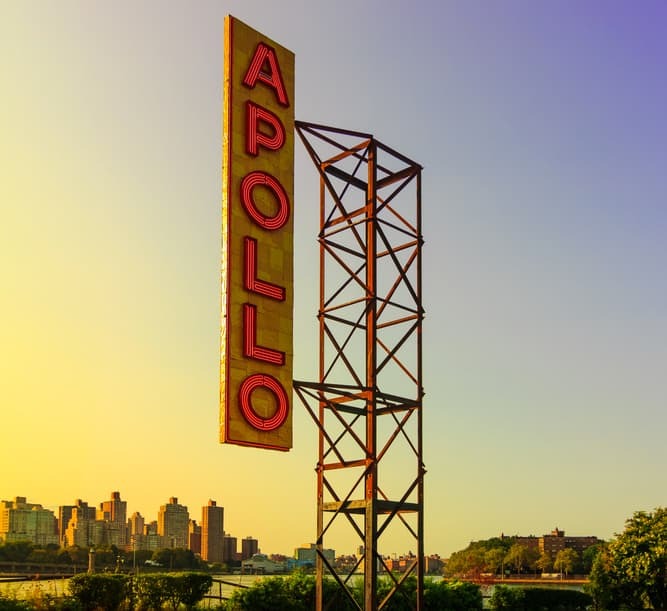 Here's our list of 5 of the coolest art installations across the country. Around 200 miles from the nearest airport, Marfa, Texas has become an artist’s escape from the daily grind. 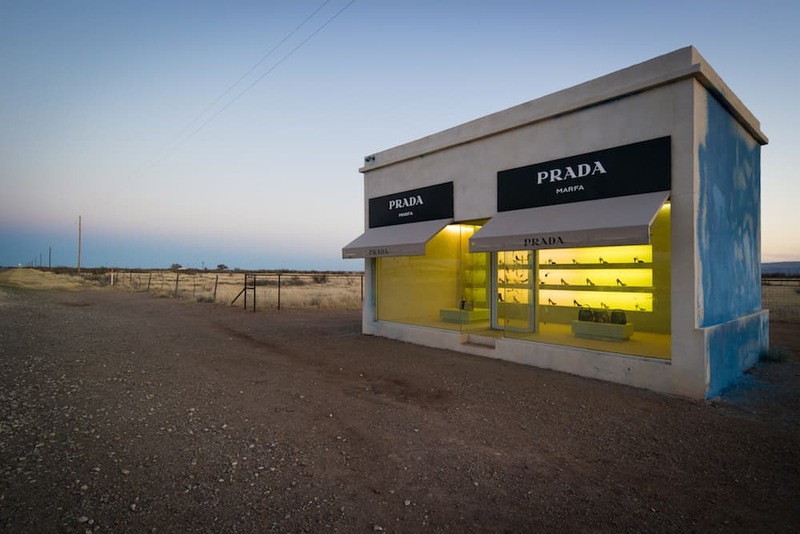 In addition to housing the iconic “Prada Marfa” storefront, Marfa is home to amazing architecture, art, and music that creates a community capable of converting city slickers into small-town Texans. The three-hour drive through the desert may seem discouraging on paper, but the anticipation is part of the fun. Found at the Los Angeles Arboretum, “Catawampus” looms at the treeline. 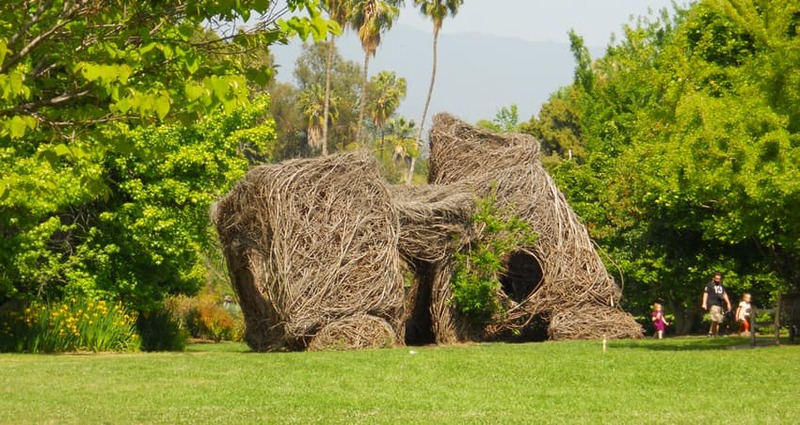 Patrick Dougherty’s masterpiece was made by painstakingly weaving branches of willow saplings together. This massive piece of art is large enough to walk through and those who have seen it in person agree, photos just can’t do it justice. Of course, Seattle has its own take on art installations, and we’re definitely here for it. 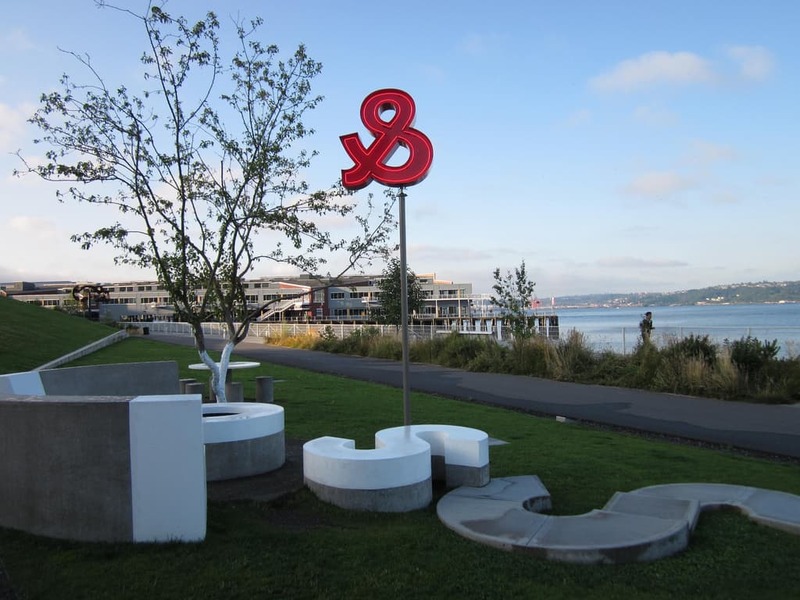 The Olympic Sculpture park lies on the Puget Sound, giving contemporary installations a fresh natural backdrop begging to be photographed. This installation is all about the senses - fresh natural breezes coming off the water contrast the urban art creating a truly unique experience. Can you think of anything more American than Paul Bunyan? Illinois pushes against its fly-over state reputation, calling itself home to a sprawling prairie-style installation. This place embraces a “more is more” mentality when it comes to sculpture. 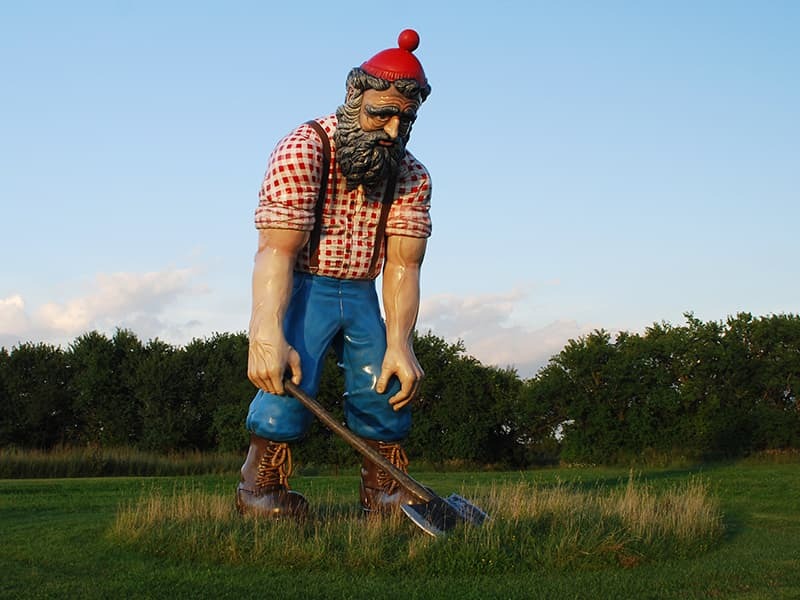 Tony Tasset’s 30-foot Paul Bunyan is a permanent resident of the Governors State University’s sculpture garden and an absolute must-see the next time you find yourself in the midwest. 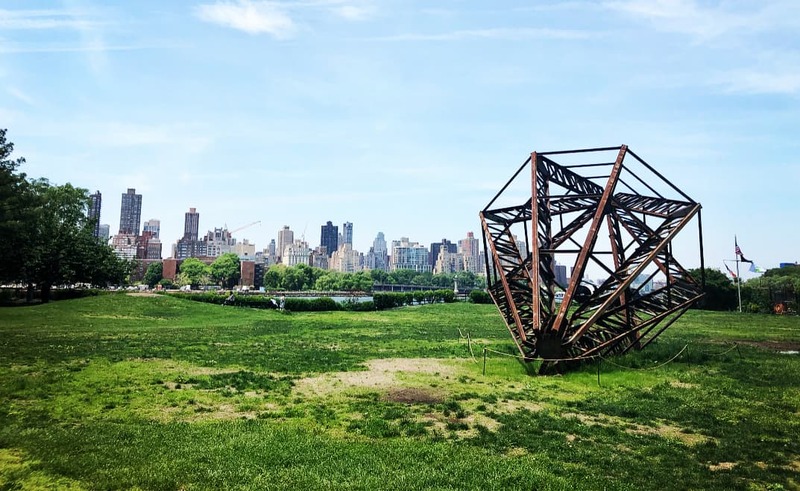 Socrates Sculpture Park is the multidimensional, NYC-based park that refuses to be pigeonholed. Magnificent sculptures are enough reason to visit, and when combined with the concerts, performances, and other community-based activities this destination is guaranteed to satisfy all of your social and artsy fantasies.